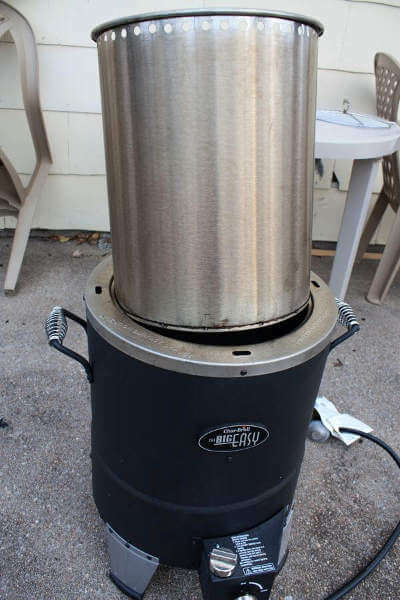 The Char Broil Big Easy infrared turkey fryer is one of the most innovative outdoor cooking products I've owned. Its main claim to fame is cooking turkeys, but it can also be used for cooking ribs, roasts, chickens and other meats. Like the name implies, the Big Easy is truly easy to use. The food goes into a wire basket, which fits into the steel insert. It lights easily, cooks quickly and the food that comes out of it really tastes good. The radiant heat sears in juices and browns the outside of meats and poultry. 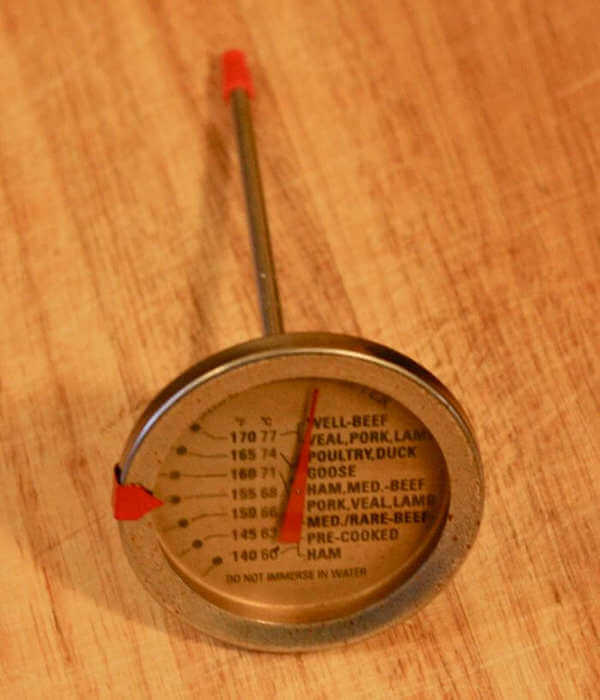 By using the meat thermometer provided with the unit, you know exactly when to remove the food from the cooker, so it's almost always perfectly done. 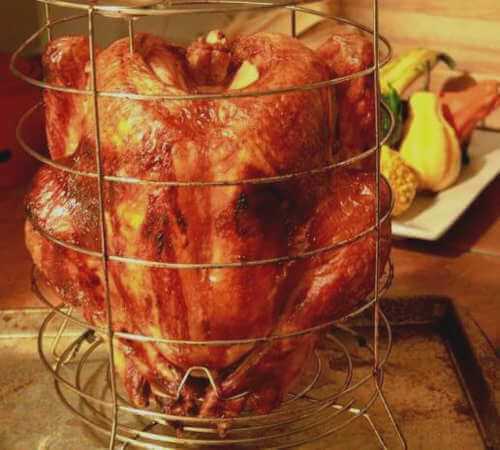 One of the best things about the Char Broil Big Easy oil less turkey fryer is that you can save a bundle of money by "frying" without oil. Last time I checked, a 3 gallon container of turkey fryer oil was selling for nearly $40.00! 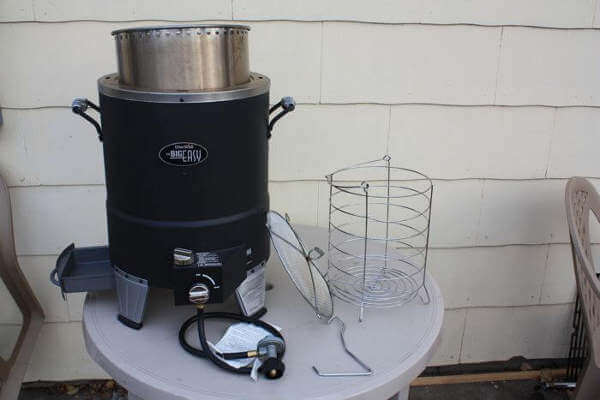 Even though it can be used to fry two or three turkeys, that's still a lot of dough to spend for simply frying turkeys. The cost of the Char Broil Big Easy is up there, but it's not outrageous. When I bought mine last year, the price was just under $140, and I think that it's still the same today. Features include the simple control knobs, one for controlling gas flow, and the other turns to activate the spark igniter. 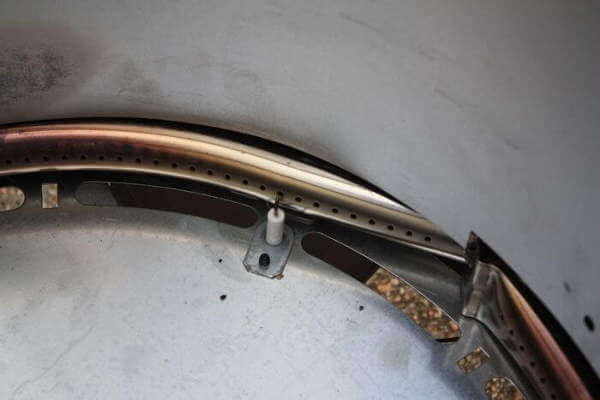 Positioned around the bottom of the main body of the cooker, the circular burner provides the heat that is converted to infrared energy. The direct heat of the flame rises between the insert and the outer wall of the main body, and heats up the insert. That heat then radiates out into the cooking chamber (the inside of the insert) to cook the food. I've had no problems with the igniter, but I've read in some reviews that some igniters quit working. I believe that it's probably due to a wire connector working loose, or a broken wire. Not a major problem if you have fixit skills. 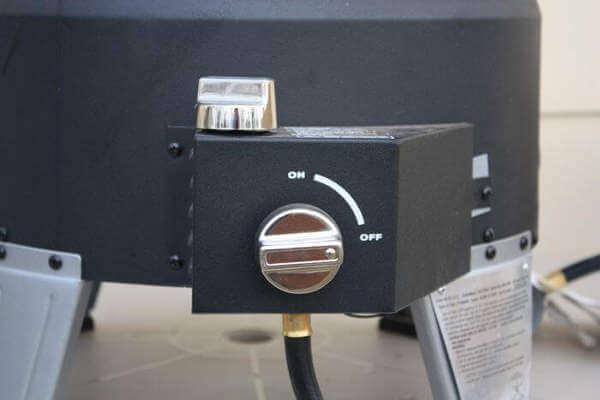 As the ignition knob is turned, it clicks each time a spark is produced, and it's just taken one or two clicks to light the burner when I've used it. 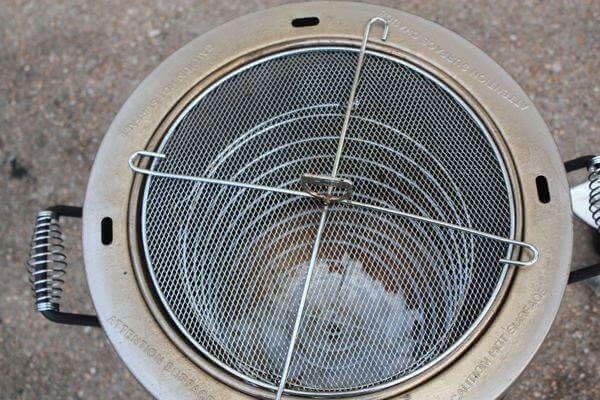 The steel insert that transfers heat from the burner to the food is basically a specially made steel bucket. 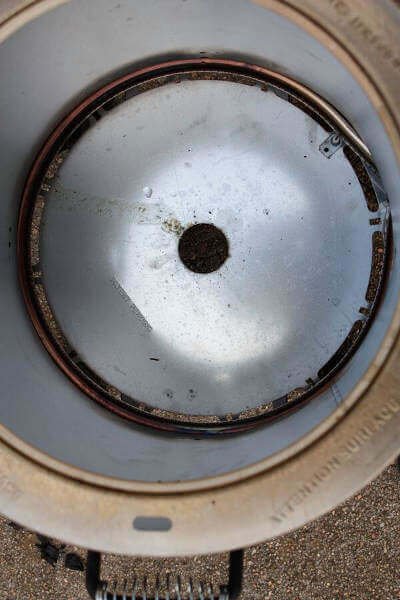 There's a flange at the top that holds it in position in the cooker, and a small drain hole in the bottom. The manual says that as the finish blackens on the inside surface, the cooking efficiency improves. Another trick I haven't tried yet- smoke wood can be placed along the outer edges of the insert to add smoke flavor to the food. 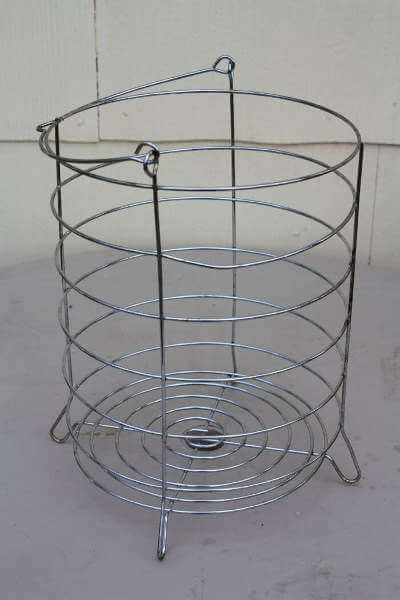 The fryer basket is chrome plated steel. It's kind of flimsy but has done the job so far. 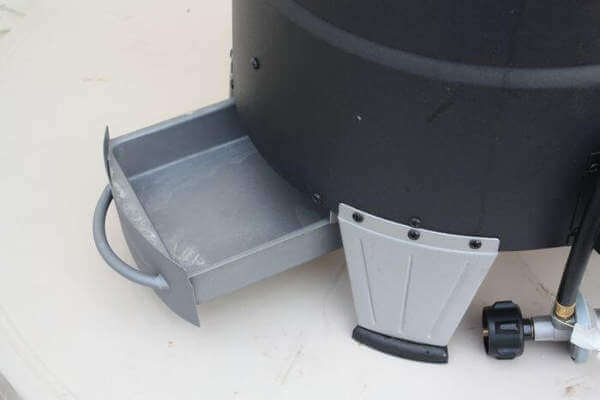 There's a bail handle on top that can be hooked with the lift handle when removing it from the cooker. The basket is the lowest quality part of the cooker kit. The lid is made so you can see though it to check the progress of the food inside, and to look at the thermometer. It's usually kept on the cooker when it's being used, but at times (in hot weather, I'd guess), the meat surface can slightly burn, and it's then recommended to cook with the lid removed. The drip pan is nice, and made like a little drawer. It's about 2 1/2 inches deep, made of heavy duty sheet metal, and has what looks like a non-stick coating applied. It is big enough to catch all the juices that drip from a whole turkey as it fries. The thermometer is a basic analog dial thermometer. The stem is the right length to insert into a turkey breast, and still be in a position that it can be easily read during cooking. It's heatproof, so it can remain inside the Big Easy the entire time the food is cooking. There's an indicator that can be positioned where the needle tip will be when the food is done, just in case the numbers on the dial are too small for you to read. The Char Broil Big Easy has my vote. It's not perfect, but I think it's sturdy enough to provide years of use if cared for properly.